Whisk together Harissa, honey, orange juice, ginger, and garlic in a large bowl. 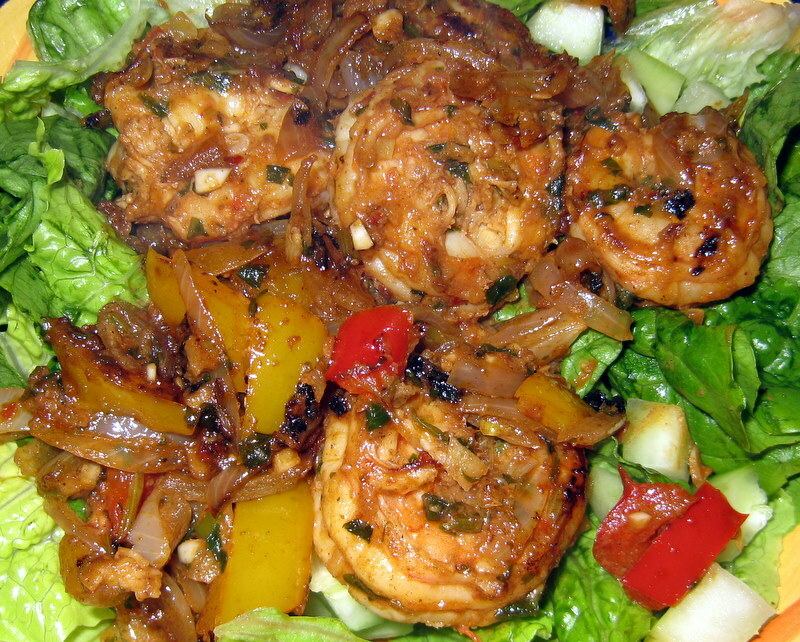 Stir in shrimp and set aside, marinate 5 to 10 minutes. Pour oil into a large wok or frying pan over high heat. Stir fry onions and peppers until tender, using a slotted spoon, remove and set aside. Add shrimp to wok, cook 4 minutes, stirring occasionally. Fold in onion, peppers, and marinade liquid, continue stirring, for 2 minutes. Turn off heat. Toss in the fresh herbs. Plate on lettuce and cucumber salad.